Having offered a glimpse at its mystery small SUV in the months leading up to the event, the Mazda CX-30 made its world debut at the 2019 Geneva International Motor Show. 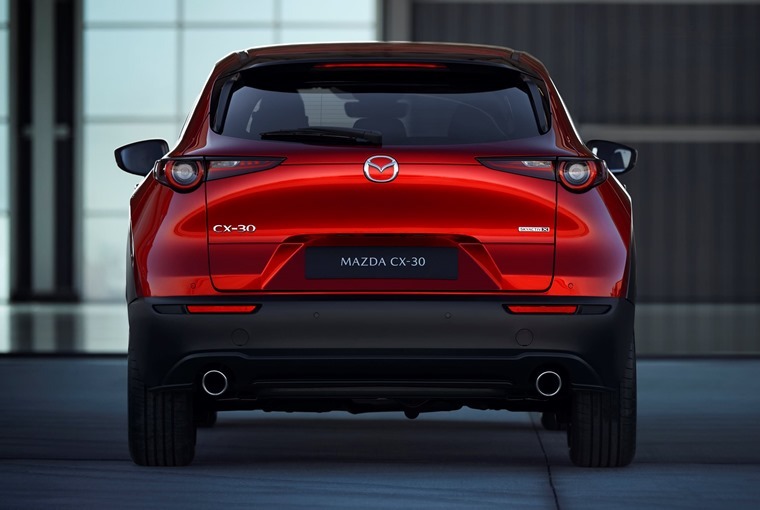 With ‘Sleek and Bold’ as its design concept, the Mazda CX-30’s styling follows current trends in combining coupe styling and the bold practicality of an SUV. 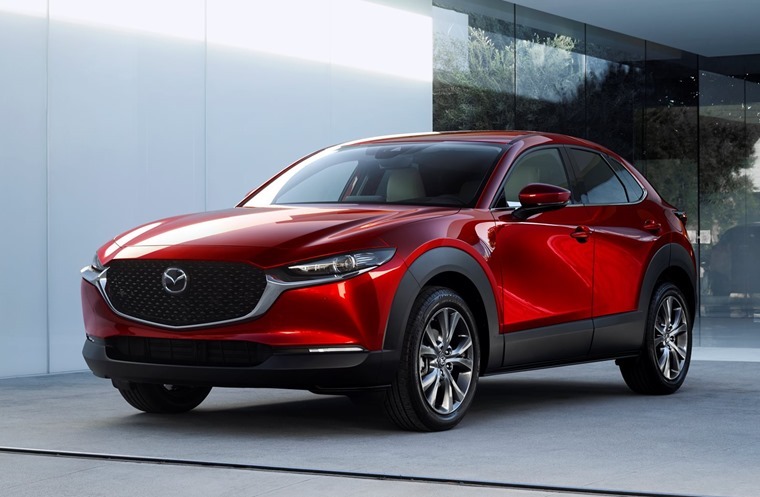 At 4,395 mm long, 1,795 mm wide, 1,540 mm high and with a 2,655 mm wheelbase, the Mazda CX-30 will be built on the same Skyactiv Vehicle Architecture as the recently revealed Mazda 3 and enters a new market segment for the company. Positioned between the CX-3 and the long-established and popular CX-5, this all-new model fulfils the requirements of customers who wish to combine the compact, urban-friendly dimensions of the former with the space and practicality of the latter. The interior has been designed to combine a snug, focused driver's cockpit area with a clean, airy and open cabin space for passengers. 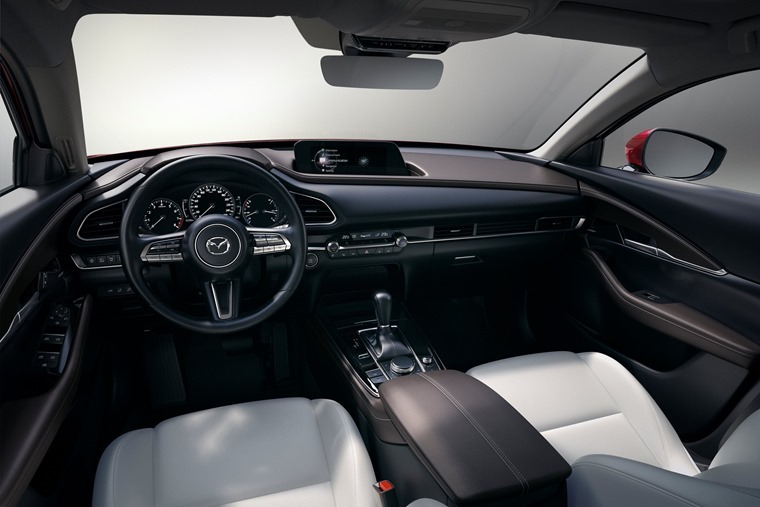 Newly developed technologies such as 8-speaker Mazda or 12-speaker Bose audio systems have been carefully integrated with premium materials to create an interior ambience of high quality and genuine refinement. An 8.8in wide-screen infotainment is angled toward the driver and will offer an intuitive guidance system for simplified operation. The powertrain line-up will also include the company's revolutionary Spark Plug Controlled Compression Ignition (SPCCI) technology, which adopts a unique combustion method to combine the free-revving performance of a petrol engine with the superior response of a diesel. This delivers superior initial response, powerful, linear torque and free-revving performance. In conjunction with smart technologies such as an evolved i-Activ all-wheel-drive system which works in harmony with G-Vectoring Control to control torque distribution between the front and rear wheels, this promotes an even more engaging driving experience. Expect the CX-30 to be launched later in the year.